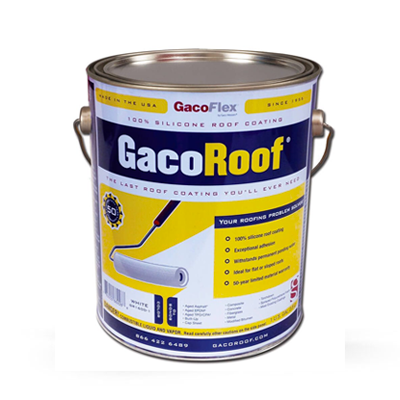 Gaco Elastomeric Silicone Roof Coating| Waterproof Membrane|Duval Paint & Decorating, Inc. 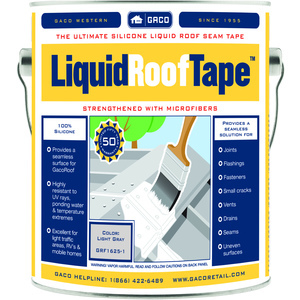 This high quality, single component, elastomeric coating provides a long lasting waterproof membrane on a flat or a sloped roof. The coating is made from silicone, allowing for superior protection against permanent ponding water, UV rays and temperature extremes. 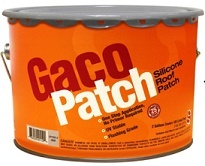 Due to the unique chemistry of GacoElastomeric, it can be rained on after 2 hours and won't wash off the roof. 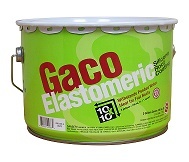 GacoElastomeric adheres directly to the substrate and does not require a primer. Use it to protect large and small buildings, homes, garages, patio covers, sheds, barns, mobile homes, RVs and more. CURES FAST. Can be rained on after just 2 hours and won't wash off the roof.